CO215: A Niche Fabricator of Heavy Steel Process Equipment for the Petrochemical and Steel Industries - $22MM Revenue - $3.9MM EBITDA. CO238: A Leading Product Design- To- Manufacturing Firm - $42MM Revenue. 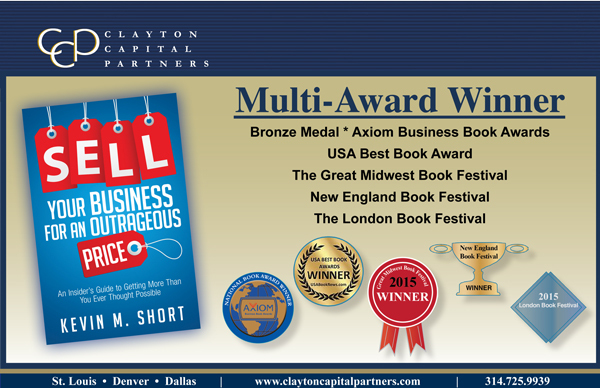 CO242: Oil & Gas Consulting Services - $100MM Revenue. CO243: Leading Consulting Group Specializing in the Oversight of Communications Services. CO234: Leader in Sophisticated Power Management Solutions is Seeking Acquisitions of companies with Advanced Technology related to Power Control and Switching for Industrial Applications. CO235: Private Equity Firm Seeking Investments in Food Manufacturing or Distribution; Sanitation or Janitorial Distribution; HVAC Aftermarket; or products which support North American Infrastructure. EBITDA of > $4MM. 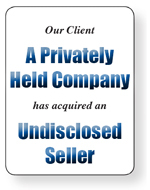 CO237: Privately-held Market Leader in the Pet and Animal Nutrition Industry is Seeking add-on Acquisitions. 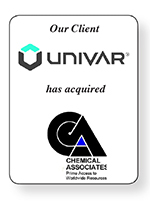 Univar Inc., based in Downers Grove, IL, is a world leader in the distribution of chemistry and related products and services. Chemical Associates, Inc., based in Copley, OH, specializes in blending, mixing, and packaging formulated oleochemical products and serves customers from 14 locations throughout the U.S. and can supply packaged and bulk quantities. 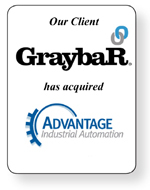 Graybar Electric Company, Inc., based in St. Louis, MO, is a Fortune 500 company, specializing in supply chain management services and is a leading North American distributor of high-quality components, equipment and materials for a number of industries. Advantage Industrial Automation, based in Duluth, GA, is a provider of automation solutions to industrial users, OEMs and system integrators that help to increase productivity and quality, reduce downtime, save energy or provide a safer work place. 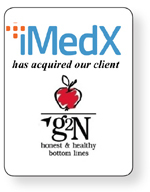 iMedX, based in Atlanta, GA, is an integrated medical document management and health information solutions company. G2N, Inc., based in St. Louis, MO is a provider of compliance, revenue cycle, and coding solutions for physicians, hospitals and healthcare systems of all sizes. Danny Gray, based in Santa Ana, CA, is the world leader in creating high performance, purpose built seats for motorcycles from leading manufacturers like Harley Davidson, as well as being the choice of top builders for one-of-a-kind seats for their custom bike projects. 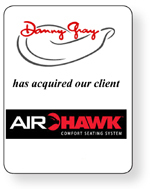 Air Hawk Comfort Seating System, based in Belleville, IL, is a motorcycle seat overlay that provides the rider with unsurpassed comfort during long rides. 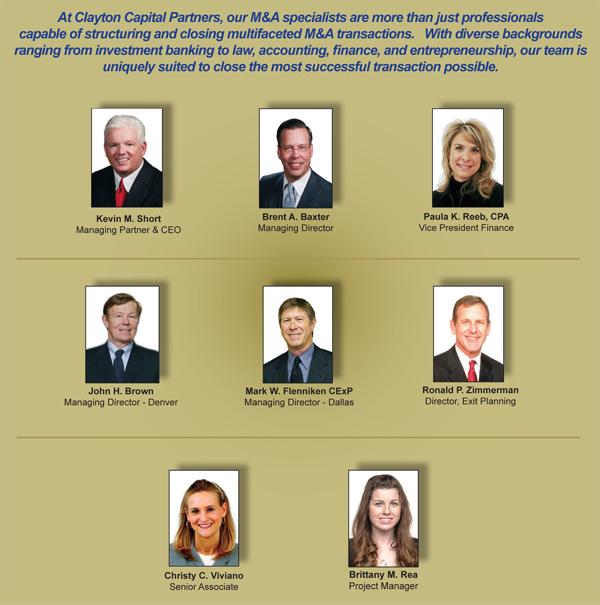 Capital For Business, based in St. Louis, MO, is a national private investment firm focused on providing capital to middle-market businesses with proven management teams and a high potential for growth. 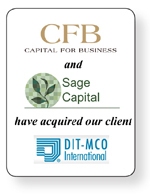 Sage Capital LLC, based in St. Louis, MO, is a private equity firm providing long-term capital and expertise for small and middle market businesses in North America. DIT-MCO International, based in Kansas City, MO, is a manufacturer of wire integrity test solutions world-wide for manufacturers of commercial and military aircraft, defense communications and weapon systems as well as space and satellite applications. 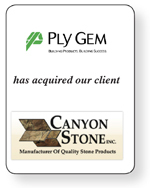 Ply Gem Industries, based in Cary, NC, is a leading North American manufacturer of exterior building products for the residential costruction market. Canyon Stone, based in Kansas City, MO, installs and manufactures cultured stone veneer for the residential and commercial markets. DTN/The Progressive Farmer, based in Birmingham, AL, is a country life oriented magazine that is the leading agricultural information services provider to the North American corn, soybean and cattle complex. Osborn & Barr Holdings, Inc., based in St. Louis, MO, offers advertising, public relations and strategic marketing for clients in the agriculture, rural-lifestyle and outdoor markets. 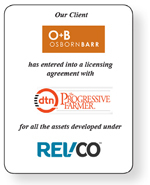 RevCo, based in St. Louis, MO, is an agricultural data management business launched by Osborn & Barr Holdings, Inc.
Prairie Farms Dairy, based in Carlinville, IL, manufactures and distributes dairy products and other grocery items. 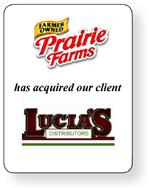 Lucia Distributors, Inc., based in St. Louis, MO, is a local distributor of frozen foods. Salutare Foods, LLC, based in St. Louis, MO, is a manufacturer of frozen pizzas. Lucia's Pizza, based in St. Louis, MO, manufactures and delivers frozen pizzas throughout the United States. 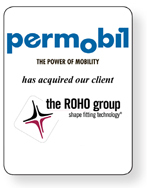 Permobil, based in Sweden, is a leader in the complex rehabilitation power wheelchairs industry. The ROHO Group, Inc., based in Belleville, IL, is the global leader in customized seating and support surface solutions for medical applications.